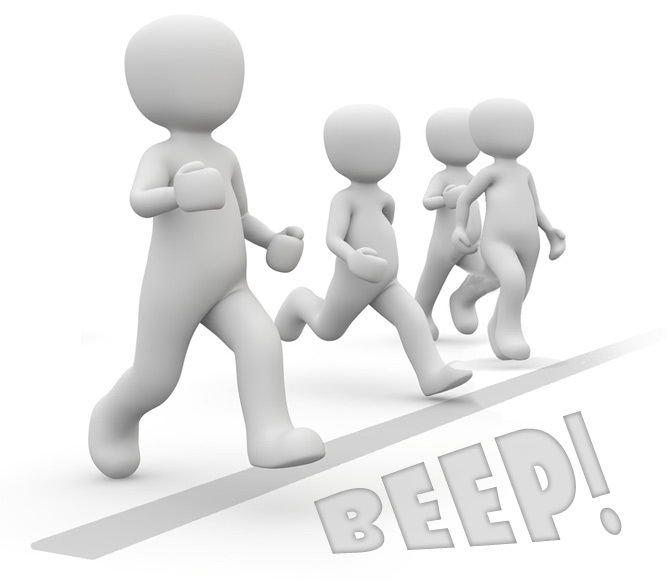 Get your free audio file of the 20m shuttle run test, also known as the beep or bleep test. Yes, it really is FREE! Not only is it free, but by providing your email address you will also be signed up to the topend sports newsletter with great information about sports, science, fitness and nutrition as well as more beep test information to make the most of your download. Enter your details below and you will be directed to the page to download your file. If you are after more than the free beep test mp3, you can purchase the beep test on cd, or download beep test apps for your iphone or android phone.